how are boxes meant to be? TheEloIsALie I don't have control over that field. Credit is included in map archive. I think you control it via "author" field on SpringFiles. This map would be excellent if it was smaller. Right now its a little too big for 1v1 as it takes forever to walk everywhere. 16x12 or something would be nice. Removed 1v1. It is too large and the little rivers make raiding impossible. 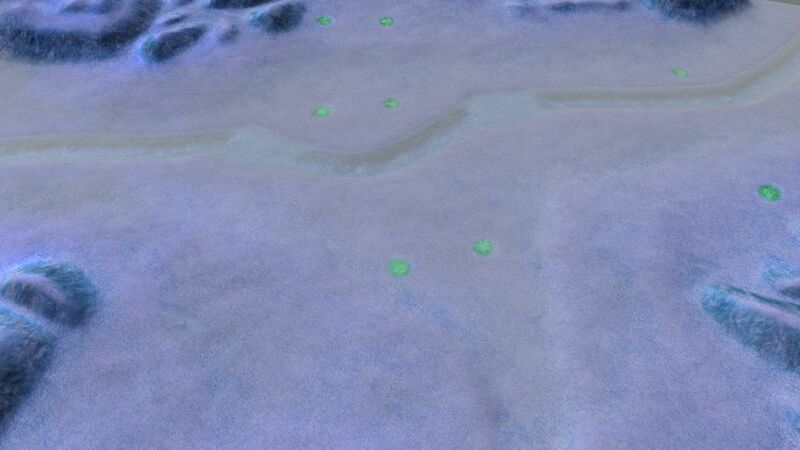 This would benefit from freezing over rivers (just icetexture the ground and raise the terrain) - if too much explosions on the river side of things, return terrain to the original state- and make the waters cold (as in add damage). Contact me if you want a gadget written for this..